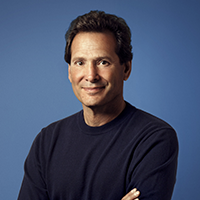 As President and CEO, Dan Schulman is focused on transforming financial services to make life easier for billions of people around the world. With his deep experience in payments and mobile technology, Dan is leading PayPal to reimagine how people move and manage money, and how merchants and consumers interact and transact. Dan is the recipient of the 2017 Brennan legacy award, established to honor the Supreme Court justice and his career-long commitment to social justice and “common human dignity”. He was also honored with the 2018 inaugural CFSI Financial Health Visionary Award for his commitment to improving the financial lives of people around the world. The Council for Economic Education named Dan as its 2017 Visionary for promoting economic and financial literacy to create a better informed society. Rutgers University bestowed upon Dan an honorary Doctor of Humane Letters degree. Dan also delivered the University’s 252nd anniversary commencement speech. He has been recognized as one of the top 10 CEOs in the world by Fortune, named one of the top 100 most creative people by Fast Company, and included on the 2017 Recode 100 list of people making the biggest impact on business and technology. He has also been recognized as one of the top 10 most innovative CEOs in banking. Dan previously served as Group President at American Express. Prior to joining American Express, Dan was President of the Prepaid Group at Sprint Nextel Corporation following its acquisition of Virgin Mobile USA, Inc., where he led the company as its founding CEO for eight years. Earlier in his career, Dan was President and CEO of Priceline Group, Inc., where he led the company through a period of rapid growth and expansion. He also spent 18 years at AT&T, where he held a series of positions, including President of the Consumer Markets Division. Dan is a life member of the Council on Foreign Relations and serves as Co-Chair of the World Economic Forum’s Steering Committee to promote global financial inclusion. He also serves on the World Economic Forum’s Future of the Global Financial System taskforce. In addition, Dan is a board member of Autism Speaks. He also serves on the boards of Verizon, International Ltd. and Symantec Corporation, where he is the Non-Executive Chairman of the Board. He earned a Bachelor’s degree from Middlebury College and a Master of Business from New York University’s Leonard N. Stern School of Business. Dan is an avid mixed martial arts practitioner.